Using commercial off-the-shelf equipment and developing their own software, groups of hams have created high speed wireless Amateur Radio digital networks with wide area coverage. 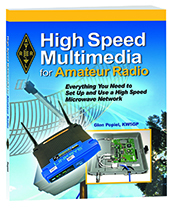 High Speed Multimedia for Amateur Radio. Kindle Edition.